The grief in Tanya Landman’s latest book is almost tangible. 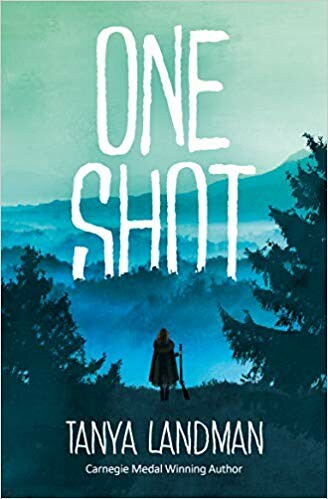 One Shot, for Barrington Stoke, is nearly about Annie Oakley, but not quite. Tanya has her own brave and determined girl called Maggie. When she was born it seemed as if no one but her father cared. He taught her about living off the land, and how to shoot, but when he dies, far too early, she’s not allowed to do any of that. Instead Maggie is sent away, with her grief, and life goes from bad to worse and then to quite appalling. Maggie is a strong girl, and she survives this, and eventually she is allowed to use her skills with a rifle. But it’s not what a girl should do. One Shot might well be Tanya’s best. This entry was posted in Authors, Books, History, Reading, Review and tagged Barrington Stoke, Dyslexia, Tanya Landman. Bookmark the permalink.